Jared Polec and Jasper Pittard will head to Arden St after North Melbourne and Port Adelaide agreed to a trade on Wednesday morning. 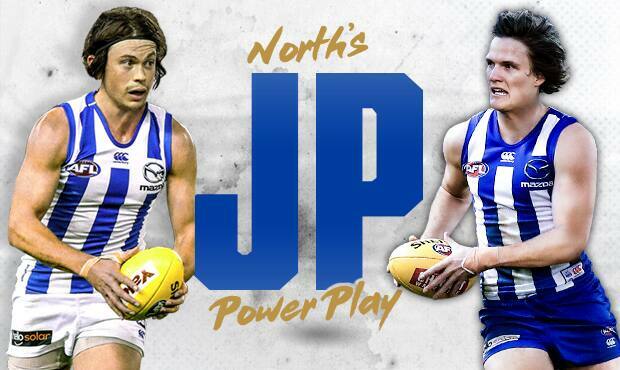 The Power duo will cross to the Kangaroos, along with a late Port pick (currently 48) in exchange for North’s first pick (currently 11) in the upcoming draft and a future fourth-round selection. North GM Football Cameron Joyce said the club was delighted with the acquisition. “Jared has been an outstanding player and is coming off a career-best year,” Joyce told North Media. Selected with pick 5 in the 2010 draft, Polec has averaged 20 disposals across an eight-year, 106 game career with Brisbane and Port, and took his football to another level this season. He averaged 25 possessions and finished fifth in Port’s best and fairest. Pittard’s upside is also significant with the defender having made the All-Australian squad as recently as 2016. “Jasper is a highly skilled defender who can do a lot of damage with his rebound and run,” Joyce added. Pittard was selected with pick 16 in 2009 and has averaged 18 possessions across his 126 game career.